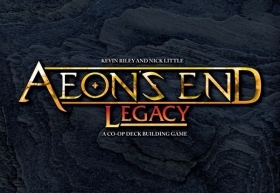 Aeon's End: Legacy - New Addition! Leadership: Be the leader — i.e., have more clan figures than any other player — of territories containing at least six opponents' clans. Land: Have your clans present in at least six different territories. Religion: Have your clans present in territories that collectively contain at least six shrines. Over the course of the game, players also earn deeds, typically chanted by bards or engraved by master crafters, that reduce by one the magic total of six for any condition. While one victory condition is enough to claim the title of King, a game of experienced players usually has a tight balance of power, emphasizing the leadership of the capital of the island. At the start of each round, players draft a hand of four action cards (with 13 action cards for three players and 17 for four players) during the Assembly. 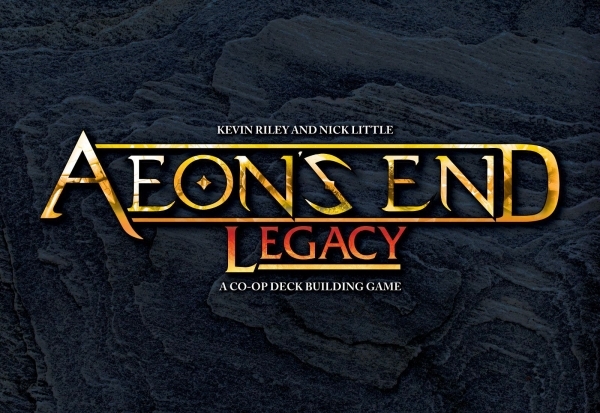 Action cards not played at the end of one season are not held for the next. Players also have access to leader cards for the territories that allow it and where they were elected leader during the assembly. Each Assembly reallocates those cards. Finally, they collect "epic tales" cards that depict the deeds of the ancient Irish gods and heroes, like Cuchulainn, the Dagda, Lugh and many others. These will be kept and used to inspire the clans and achieve extraordinary feats...under the right circumstances. The cards provide a variety of actions: adding clans, moving clans, building/exploring, and special actions. Careful drafting, hand management, bluffing (especially once players understand the importance of passing their turn), good timing, and a precise understanding of the balance of power are the keys to victory. After a discovery game you'll be ready for a full and epic game, where an undisputed player will be king by the Assembly for his merit and wisdom. 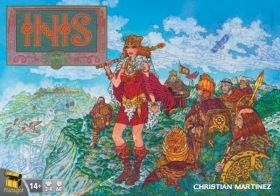 While Inis has "dudes" that are "on a map", it's a beginner's mistake to play this as a battle game because eliminating other clans reduces your chances of scoring a Leadership victory condition. Peace among different clans, with or without a clear territory leader, is the usual outcome of a clan's movement. Battles will occur, of course, as the Celtic clans can be unruly and a good player will listen to his clan's people (i.e., his hand of cards). That battle aspect is reflected in the clan's miniatures representing warriors. Woodsmen, shepherds and traders complete the set of twelve minis for each player; these occupations have no impact on the game, but give it flavor. 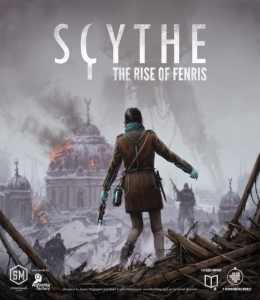 Scythe: The Rise of Fenris, the conclusion to the Scythe expansion trilogy, enables two different options for any player count (1-5 if you have Scythe; 1-7 players if you have Invaders from Afar).